Congratulations to our 2014 Conference Proceedings Winners! By Frank L. Frisbie, P.E. & Suzette Matthews, Esq. Jose Manuel Asensio, Project Manager, Indra Sistemas, S.A.
Amalia Garcia Alonso, Senior R&D Engineer, CRIDA, A.I.E. Andrea Villa, R&D Engineer, CRIDA, A.I.E. Tomorrow’s Air Traffic Control System: Less safe and more costly for consumers? Vaisala CheckTime – a Liquid Water Equivalent (LWE) solution for improved efficiency in Winter Weather Operations. What does ATC need to know about LWE? 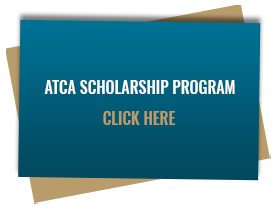 ATCA would like to thank all candidates who submitted a conference proceeding. This year’s participants covered a wide range of expert ATC and ATM knowledge.